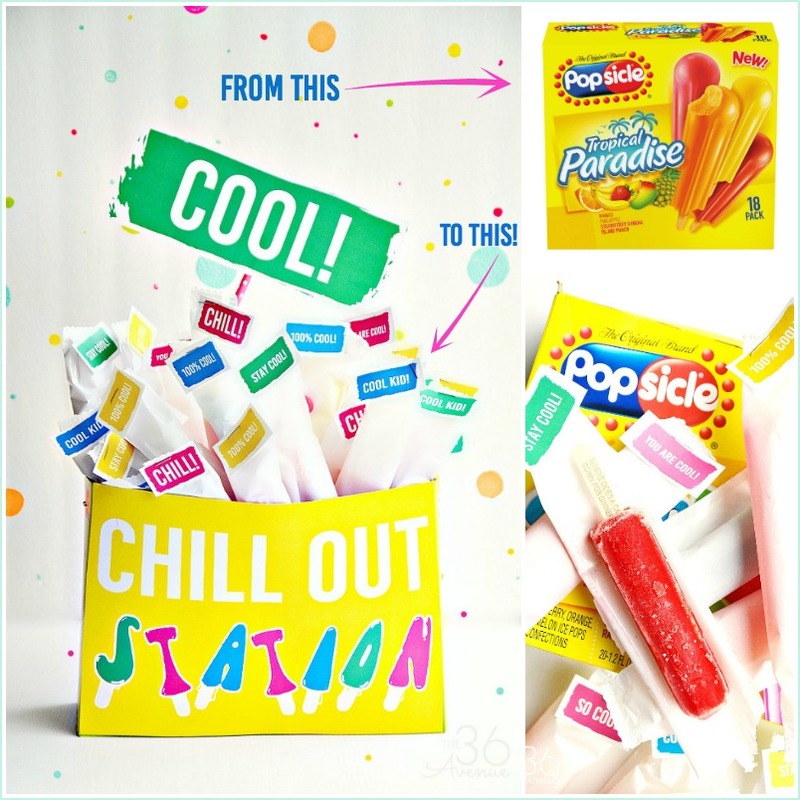 Today I’m super excited to show you how I turned a Popsicle box into the COOLEST treat station EVER! Every year I host a Summer Party for my kids’s friends and I’m using this fun treat idea to help them “chill” out by the pool! Bringing the fun since 1905, the Original Brand Popsicle® is America’s favorite ice pop, loved by kids and parents alike! What can I say? Popsicles and Summer make the perfect team! If you are hosting a pool party like me, a barbecue or a birthday party take a closer look… You are going to love this! 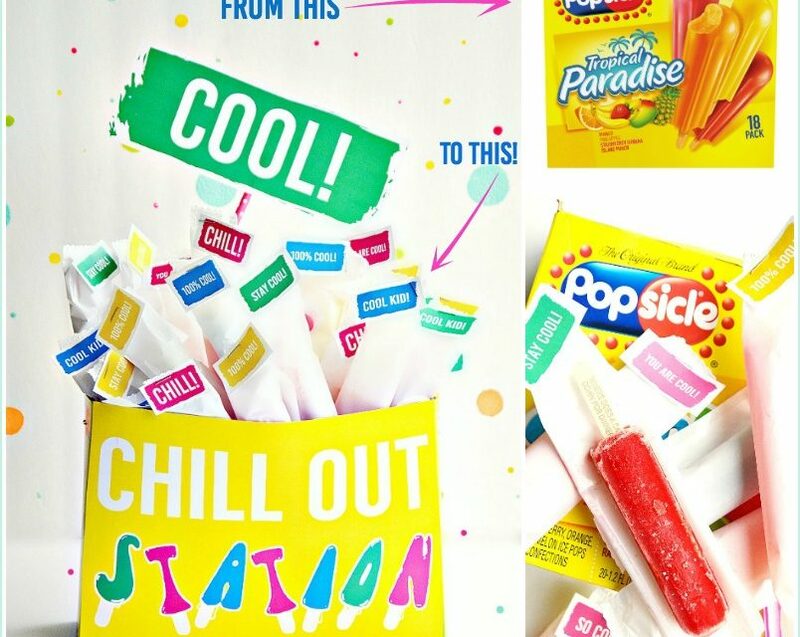 All you need to make this Chill Out Station is our free printables and of course to go to the store and pick up a Popsicle box! 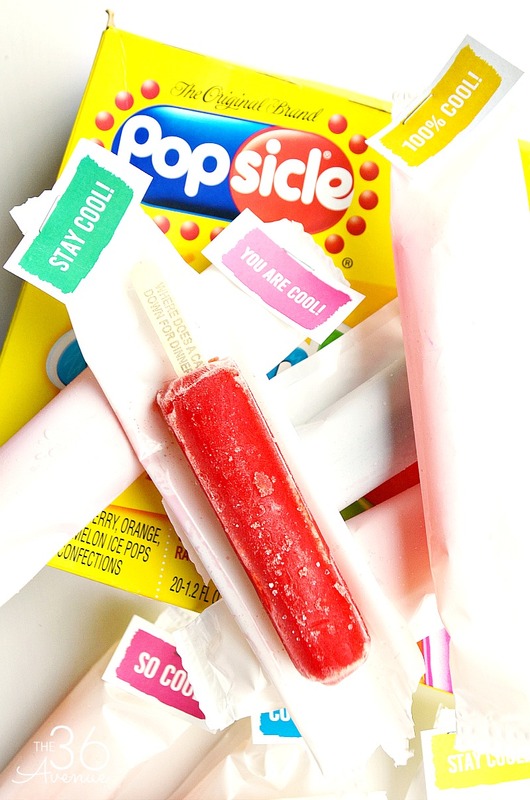 With their icy-cool refreshing taste, bold flavors and fun shapes, Popsicle® pops come in the iconic yellow box and are available in more than 20 unique flavors including the childhood favorites Orange, Cherry and Grape! This year, Popsicle® – the original summertime treat – offers three new varieties that inspire summertime fun at any age. 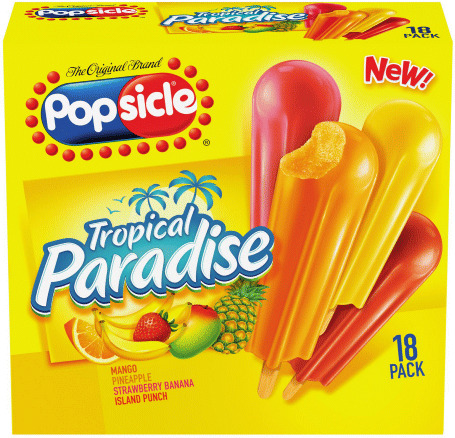 Popsicle® Tropical Paradise comes in four refreshing tropical flavors, including Mango, Strawberry-Banana, Island Punch and Pineapple. Popsicle® Sugar Free Red Classics offers all your favorite red flavors, including Cherry, Raspberry, and Strawberry as a sugar-free option. Popsicle® Teenage Mutant Ninja Turtles™, complete with Michelangelo™, Donatello™, Raphael™ and Leonardo™, includes four action-packed flavors: Orange Fury, Cherry Crush, Blue Raspberry Blast and Smashing Grape. 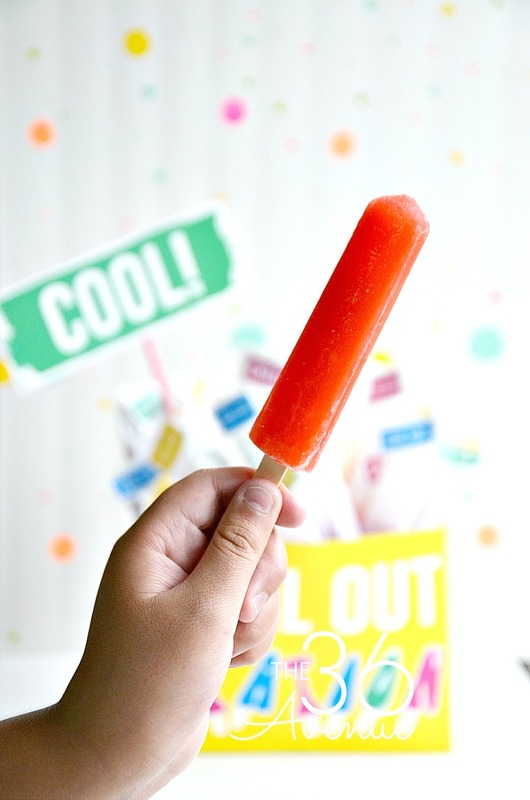 I love all of them but for this particular project I used Popsicle® Tropical Paradise… I gotta admit, the pineapple popsicle makes me all type of happy! So good my friend, SO GOOD! The first thing we are going to do is to decorate the box! Use a pair of scissors to open the top widest side of the box. Remove the pops and put them in the fridge. Fold the carton lid inside and use a stapler to keep it in place. 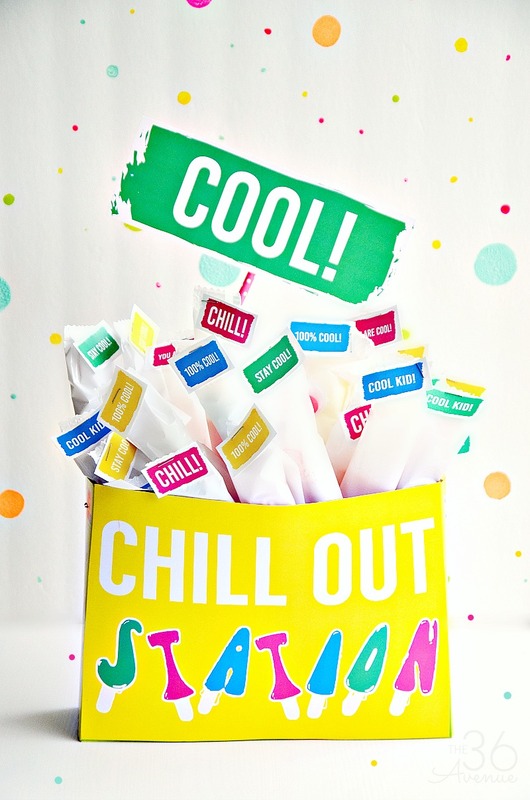 Cut the “Chill Out Station”printable and glue it to the front of the box! 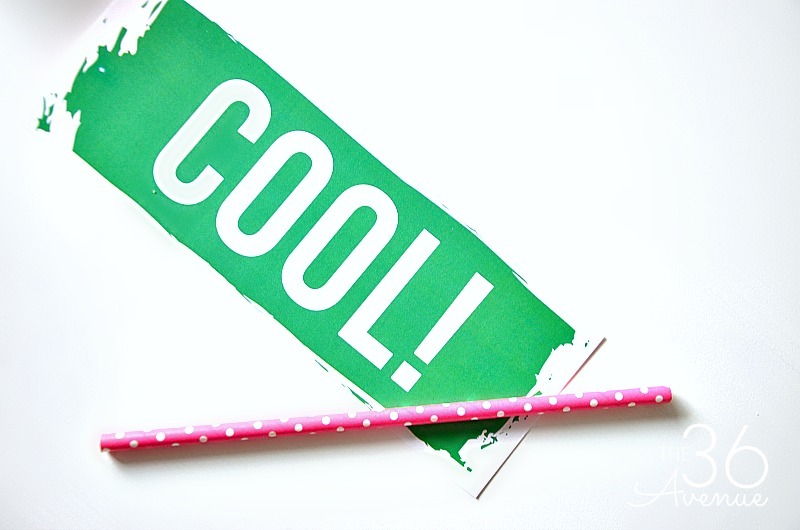 Cut the green “Cool” printable and use tape to secure a paper straw on the back of it. 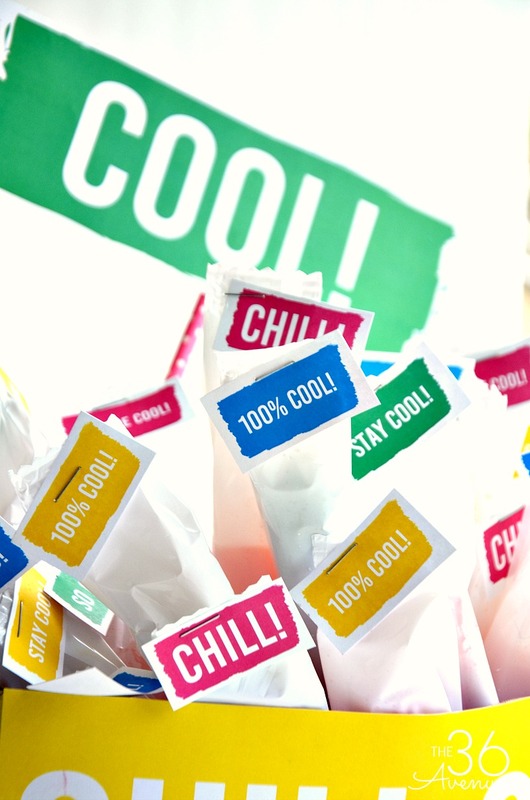 Cut the small tags and staple them individually to the top of the popsicle wrappers. 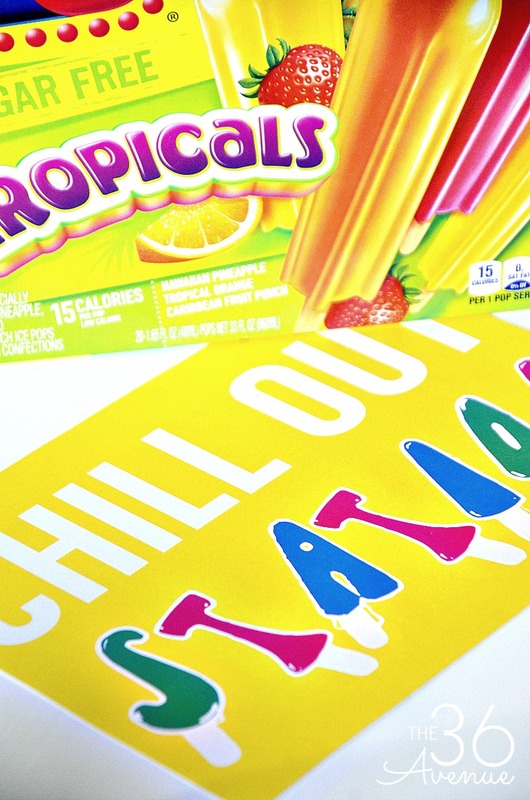 You need to work fast… You don’t want any Popsicles to melt! How fun are these?! My kids love them! I like doing this step early and then putting the pops back in the fridge until I’m ready to share the goodness with my kiddos and friends! 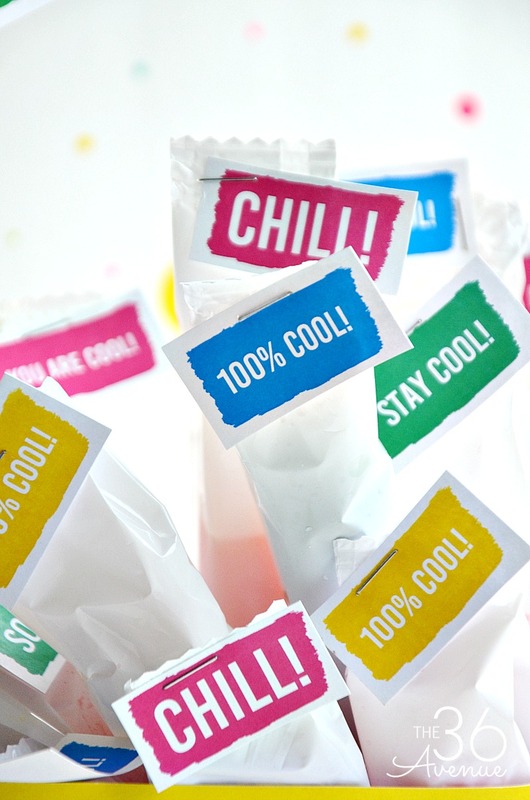 They love the little individual messages… These are 100% cool for sure! When you are ready to serve prepare the box! 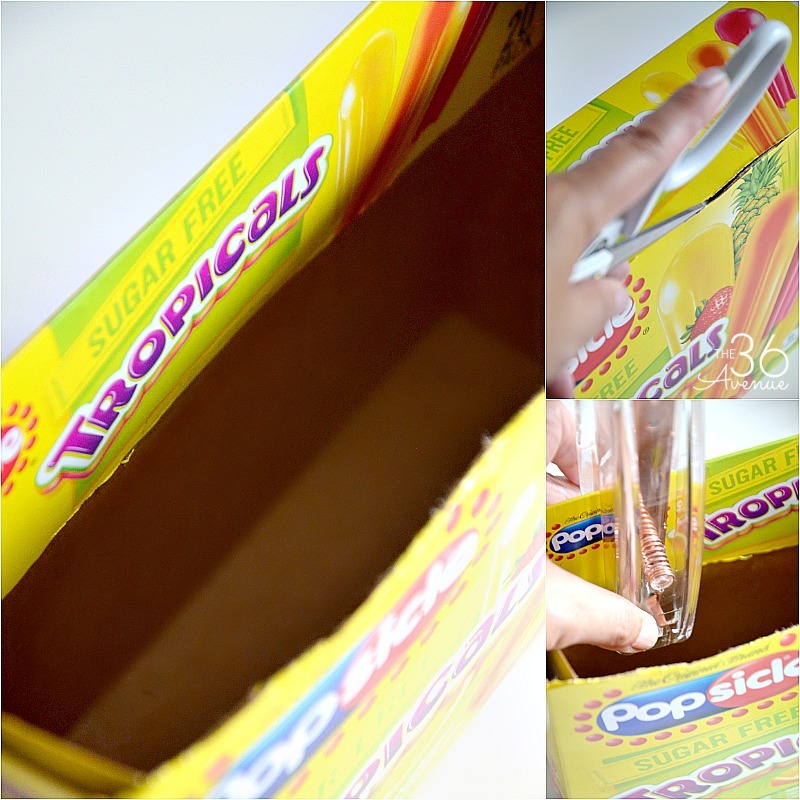 Fold and roll a clean kitchen towel and place in the bottom of the box before you put the pops in. The towel will keep the box dry and add height so you can see the pops. Now all we need to do is place each pop inside of the box. To finish it all put the cool sign in place! Watch the joy in your kids eyes when you bring the box out! As I always say… Imagine a moment and then make a memory! Simple COOL things like this can go a long way! When you are ready feel free to download the printables! Make sure to stop by Popsicle Facebook and Twitter and thank them for being with us today! If you have kids head over to their site HERE and have them meet the cartoon Pops over at the Popsicle Stick Theater… My eight year old LOVES their videos! Thank you so much my friends for being you and hanging out with me today!